French Talmudist; flourished about 1200. 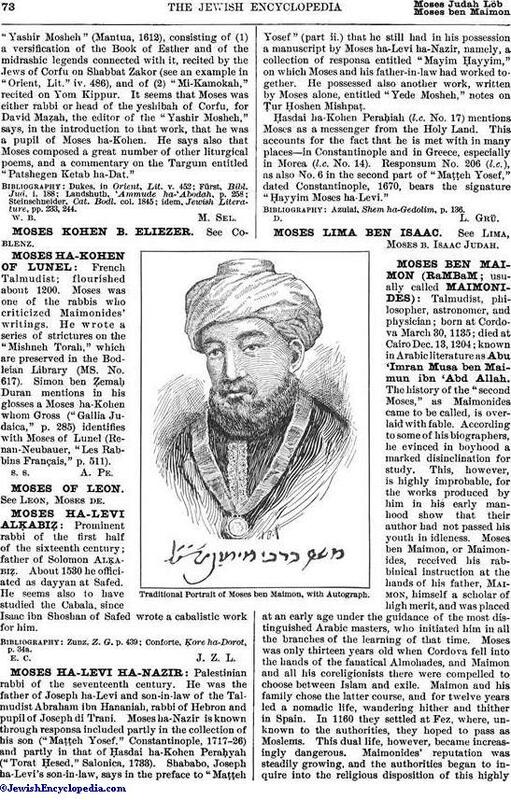 Moses was one of the rabbis who criticized Maimonides' writings. He wrote a series of strictures on the "Mishneh Torah," which are preserved in the Bodleian Library (MS. No. 617). Simon ben Ẓemaḥ Duran mentions in his glosses a Moses ha-Kohen whom Gross ("Gallia Judaica," p. 285) identifies with Moses of Lunel (Renan-Neubauer, "Les Rabbins Français," p. 511).